The MIFARE Classic family covers contactless smart card ICs used in public transport, access management, loyalty cards and many more. Fully compliant with ISO/IEC 14443 Type A, it is available with 4 KB memory, and 7 byte or 4 byte identifiers. 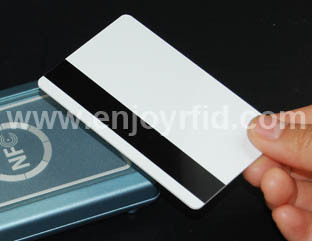 Make contactless cards Alipay for instance, it is about many manufacturers from the industrial chain, for example mobile phone manufacturers, mobile operators, bus corporation, bank, union pay and the like. Each one of these make commercial mode complicated meanwhile, they have got limited the short development. In terms of the unsafe application, the cultivation of users' habit along with the popularization of NFC mobile phone are a couple of challenges.